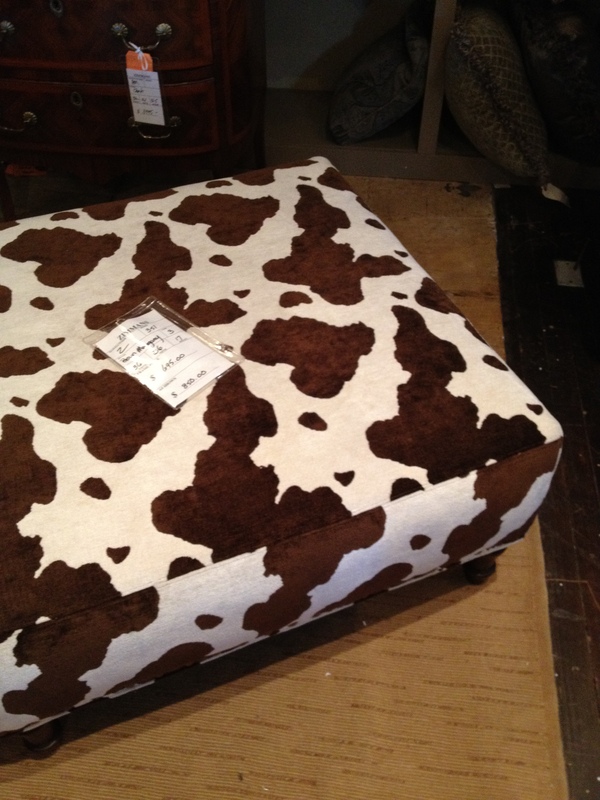 Aside from the vast array of beautiful (or at least interesting) fabric, Zimman’s also sells furniture. 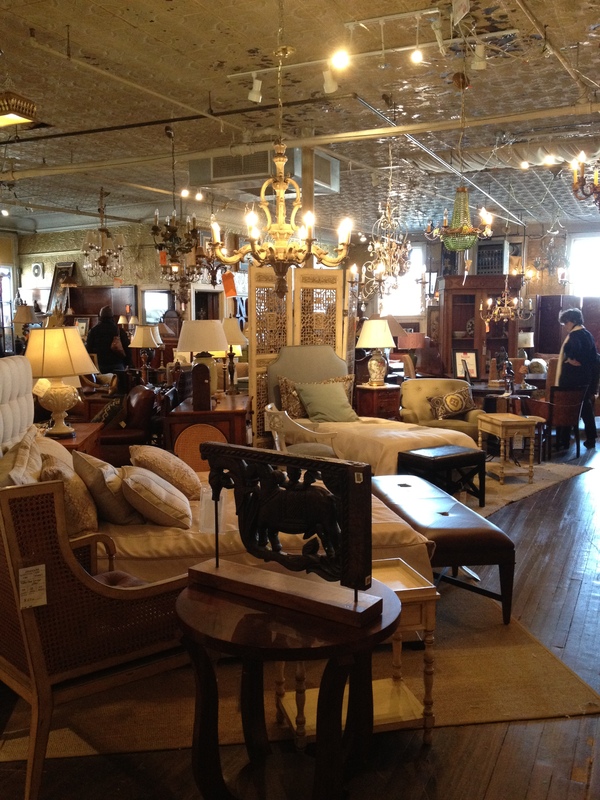 There are two full floors of gorgeous and unique furniture pieces. They call it their Furniture Emporium. I like that word, so I had to add that in. 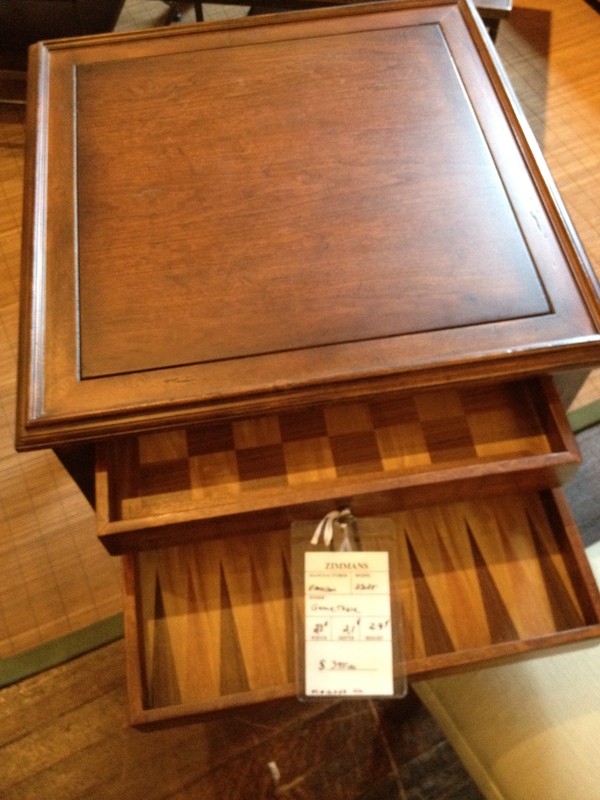 Although I loved the pieces I saw at Zimman’s, I resisted the urge to buy. I couldn’t have afforded much! Their furniture prices are off the charts. But that’s probably because of the quality. Everything looked to be really high end. I’m no expert, and I haven’t done an awful lot of furniture buying (aside from on Craig’s List), so I wouldn’t know, but if you go here, do expect to pay between $400 and $8,000 for what you might be looking for. 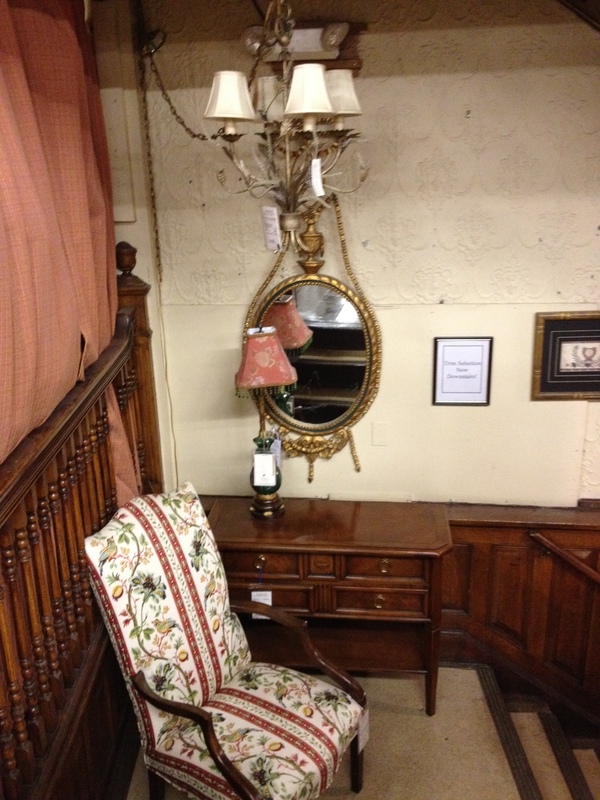 They have couches, tables, lighting, mirrors, bookshelves, hutches, bedframes, …. everything, but the prices are pretty steep. This is the main second floor…. lots to look at! 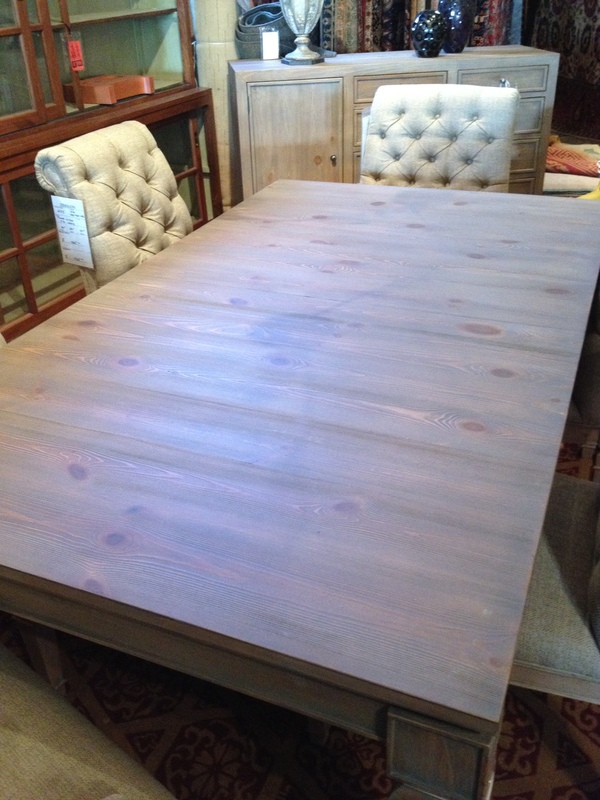 Who doesn’t want a game table like this? Oh wait, it’s almost $400. 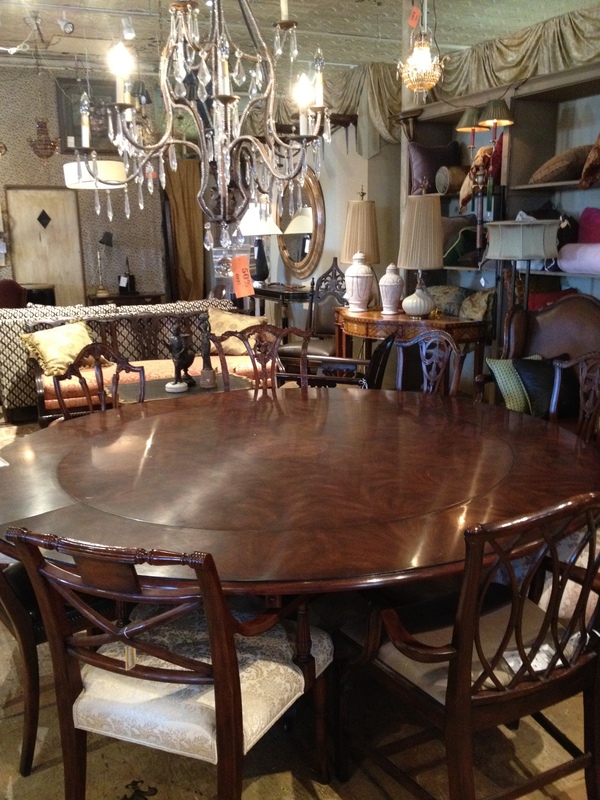 One day, I’d love a big round dining room table like this! 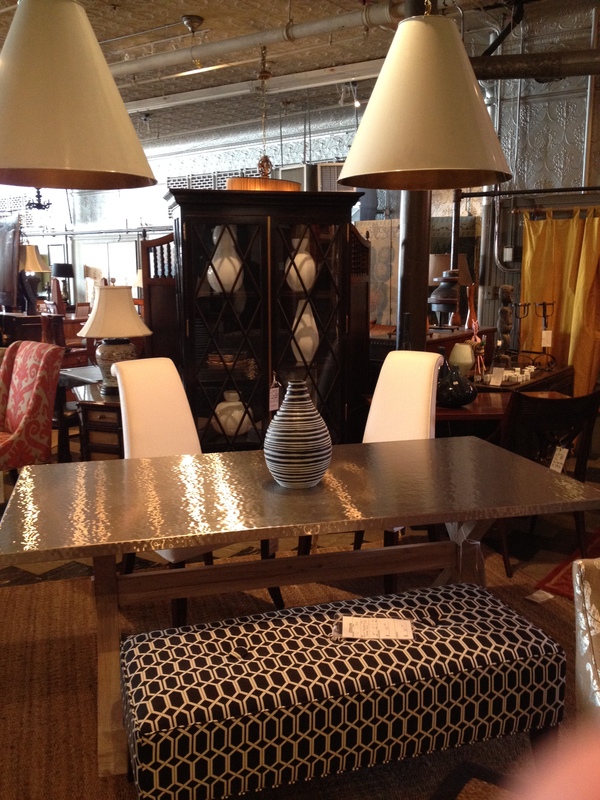 I LOVE this bench and silver table! There was a lot to LIKE at this place. I’ll have to start a savings jar just for Zimman’s…. Or, better yet, I’ll just keep my eyes on Craig’s List and roadsides for stuff that looks like this! 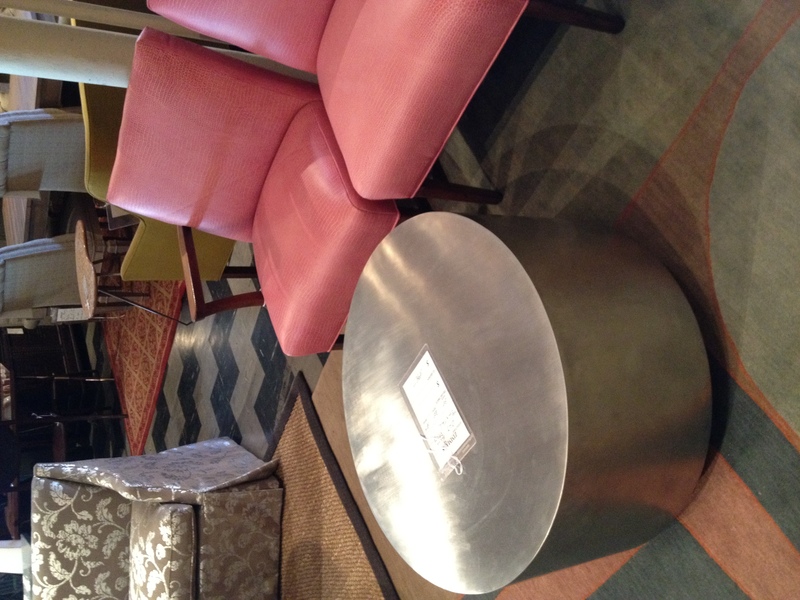 And I would definitely want that silver ottoman with pink chairs. love it.